Pictured: The alleged culprit, the victim, and the scene of the crime. Like a bunch of dogged Javerts—if Les Misérables had been about the world’s most popular woman getting bitten on the face and not, like, pilfered bread or something—the investigators over at Page Six claim to have finally brought the Beyoncé Biter to ground. 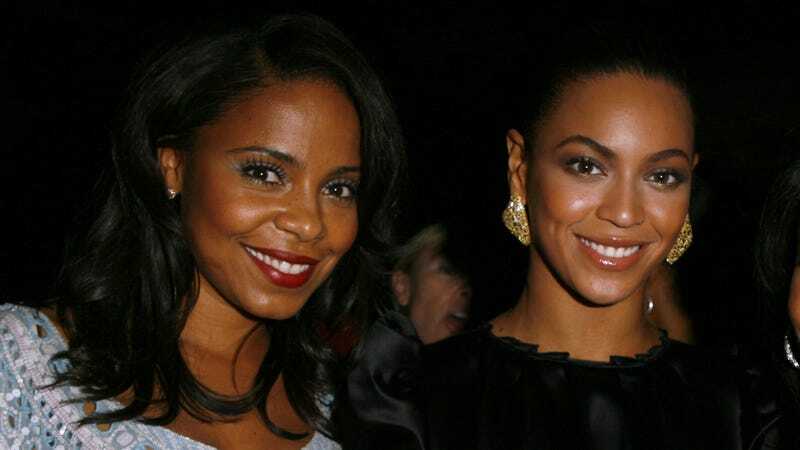 The celebrity news/gossip site is naming actress Sanaa Lathan, already a prime suspect in the Bey-masticating case, as the woman who recently bit Beyoncé at a fancy celebrity party. For those who’ve missed its rapid and dramatic gestation, this story got started thanks to a GQ profile of comedian Tiffany Haddish, who offered it as a prime example of how weird her life has gotten in recent months. According to Haddish, she was at a party late last year after a JAY-Z show, when word started spreading that an actress had leaned in mid-conversation and bitten Beyoncé, much to the superstar’s understandable consternation. Haddish was keeping quiet about the identity of the woman in question, but Lathan’s name quickly came up, at least in part because she’d talked on social media about being at that particular show. Lathan has since denied the incident on Twitter, but Page Six has apparently confirmed with multiple anonymous sources that the actress, whose credits include Love & Basketball, Alien Vs. Predator, and the recent Shots Fired, was the alleged culprit in question. Obviously, this is one of the weirdest moments of human interaction that’s possible to imagine, which is why Haddish has had so much bewildered fun describing it. And yet. We have to admit that our own brains do not currently contain a comprehensive “How to act” plan for what to do if we suddenly met Beyoncé; our best guess at our own reactions would be a sort of semi-religious bout of crying, combined with a sad, shuffling little dance of shame. We’re not saying we’d follow that display up by leaning over and gently biting her on the face, per se, but if the Beyoncé Madness was truly upon us, who’s to definitively say?